Did you hear the Grand News!? 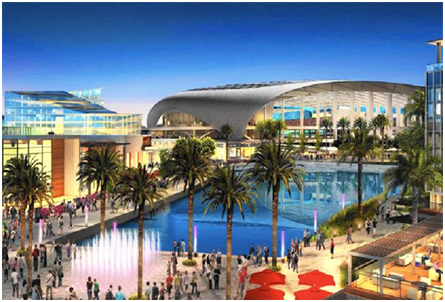 It is official, the owner of St. Louis Rams plans to build NFL stadium in Inglewood, CA. venue and development of office, retail, residential and hotel space to job growth and economic revitalization. The 60 acres adjacent to the Forum was purchased by Rams owner Stan Kroenke, and has joined forced with the owners of the 238-acre Hollywood Park Site, Stockbridge Capital Goup. Fasten your seat belts. Inglewood is up and coming. Good News. The developers said “NO TAX DOLLARS” would be used for the construction project. The group will begin gathering signatures that would place the entire project on the Inglewood municipal ballot this year. The investment and revitalization of Inglewood will also change the housing market and increase house values. Now is the time to sell and restructure your Real Estate investments in Inglewood Community. Contact: info@swirealty.com for more information. As an accredited investor and real estate broker my passion is to follow real estate trends and market updates. I thought I share some of my findings with my network to help you better understand the current market developments. Right now, the outlook looks welcoming for the real estate market, according to Fanny Mae’s most recent National Housing Survey. Monthly National Housing Survey, shows that home values will keep improving throughout 2014. – 49% of U.S. adults say home prices will rise throughout 2014, up from 43% in December 2012. – Consumers also believe that that their home values will rise this year to 2.3% from compared 2.6% in 2012. – The number of Americans who believe it’s a good time to sell their homes took a sharp turn upward, according to Fannie Mae, with 33% of U.S. homeowners saying it’s a good time to sell their homes up from 21% a year ago. – Buying a home should be easier, too. Half of the survey respondents say it will “be easier to get a home mortgage today,” compared with 45% in 2012. If you have currently a property you are looking to sell or downsize, you should take advantage of this market before interest rates will start to change. I also suggest that for investment opportunities, get your foot in the door and lock up the current interest rates which could affect you for the next 30years. Please always feel free to contact me and my team for assistance and guidance. 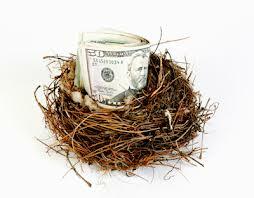 We also help sophisticated investors to build syndication’s and invest in trust deeds. My team of analysts take the time and explain how you can benefit by investing long term and secure your future and retirement. Have a blessed Friday and please contact us at: info@swirealty.net for more information.